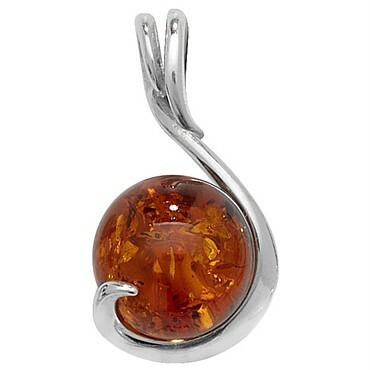 A modern contemporary design creates a delightful pendant in 925 Sterling Silver, with a circular globe of amber. Comes complete with a Sterling Silver chain. Size: 2.2cm.